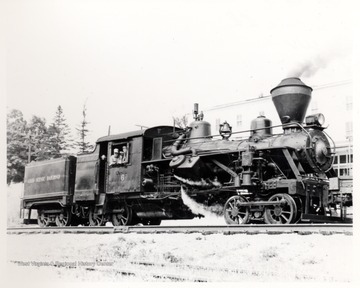 Train engine on tracks with two men looking out of the engine room. Cass Scenic R.R. ; Cass, W.V. 2. Humphrey No. 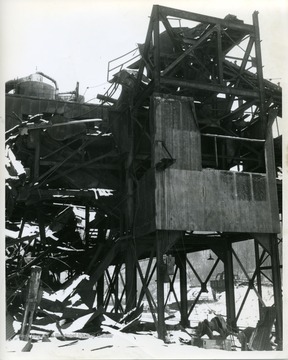 7 Coal Tipple Fire in Granville, W. Va.
Humphrey No. 7 Coal Tipple Fire in Granville, W. Va.
Westover and Granville Volunteer Fire Departments respond to a fire at the Humphrey No. 7 Tipple in Granville, W. Va.
3. Dilapidated Tipple on Route 7 Near Cassville, W. Va.
Dilapidated Tipple on Route 7 Near Cassville, W. Va.
A close-up view of an old tipple at a coal mine on Route 7, near Cassville on a snowy wintry day. 4. Abandoned Tipple at Old Alice Mine, Maidsville, W. Va. Abandoned Tipple at Old Alice Mine, Maidsville, W. Va. 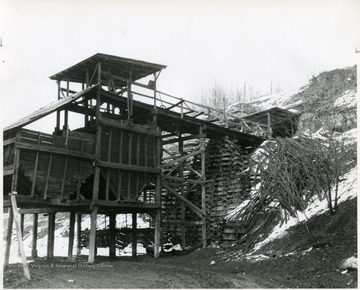 Consolidation Coal Company Old Alice Mine on Martin Hollow, Maidsville, W. Va.
Christopher Coal Co. preparation plant and tipple beside a road. 6. Tipple at Maidsville, W. Va.
Tipple at Maidsville, W. Va. 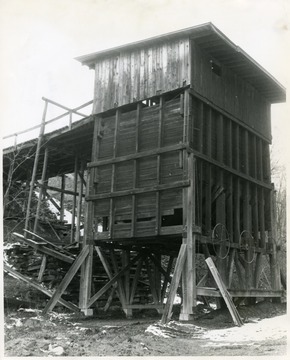 Wooden coal mining structure in Maidsville. 7. 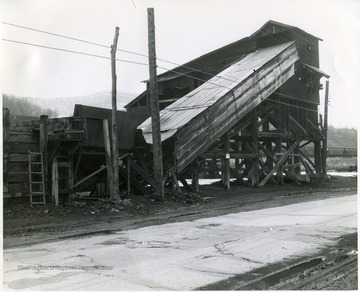 Long Coal Tipple at Maidsville, W. Va.
Long Coal Tipple at Maidsville, W. Va.
8. Tipple at Old Alice Mine, Maidsville, W. Va.
Tipple at Old Alice Mine, Maidsville, W. Va. 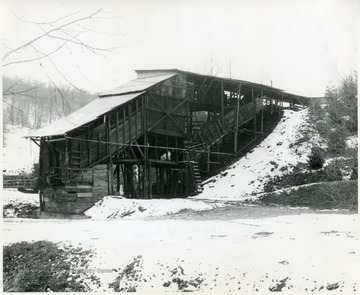 Snow covered Old Alice Mine in Maidsville. 9. 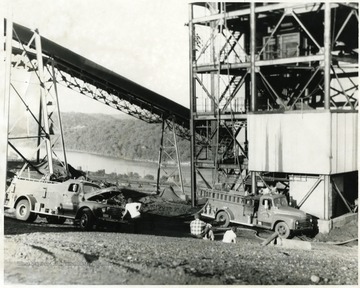 Valley Camp Coal, Maiden Mine, Maidsville, W. Va.
Valley Camp Coal, Maiden Mine, Maidsville, W. Va. 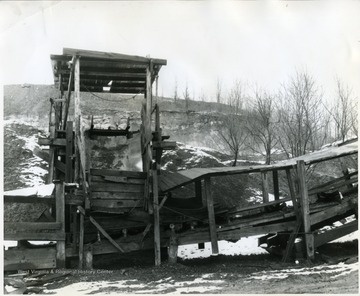 Wooden coal mining structure, Valley Camp Coal, Maiden Mine, Maidsville. 10. Abandoned Burcher Consolidated Tipple Near Cassville, W. Va. 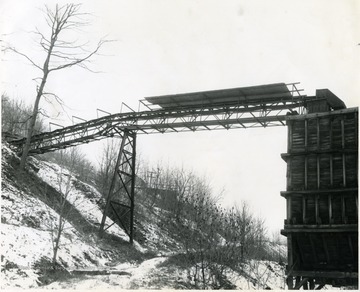 Abandoned Burcher Consolidated Tipple Near Cassville, W. Va. 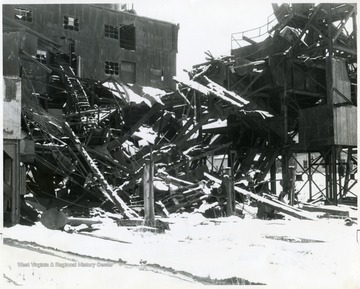 Collapsed in Burcher Consolidated building after abandonment. Route 7 near Cassville. 11. 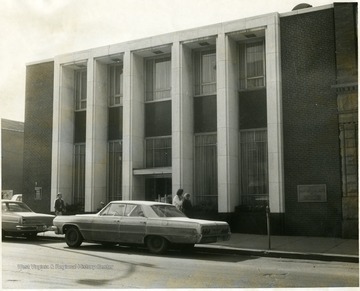 First National Bank in Morgantown, W. Va.
12. 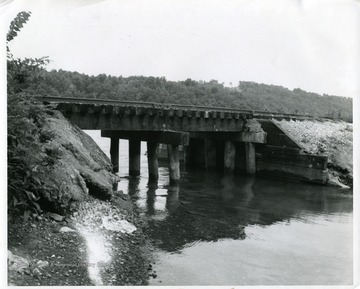 Railroad Bridge over Backwater of Cheat Lake, Morgantown, W. Va.
Railroad Bridge over Backwater of Cheat Lake, Morgantown, W. Va.
A view of the Railroad Bridge over Backwater of Cheat River in Morgantown, West Virginia.